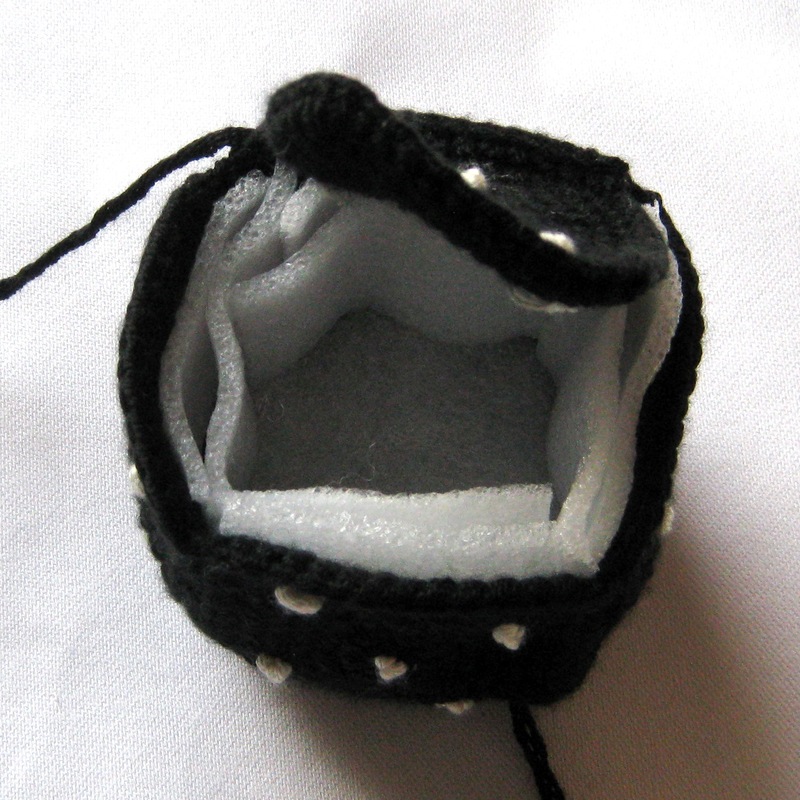 A very easy amigurumi dice toy which can be used as normal dice and also as a stress squeezer. In addition you might be interested in my newest pattern, Rearview Mirror Hanging Dices. Acrylic yarn (for example Smooth DK) in Black (Black 848) and white (Cream 846) colours. Row 7: 1 sc in the next four sts, (3 sc in the next st, 1 sc in the next ten sts) 3 times, 3 sc in the next st, 1 sc in the next six sts (52 sts). Stitch 1 sc in the next six sts and fasten off* leaving 20 cm thread to sew the sides together. 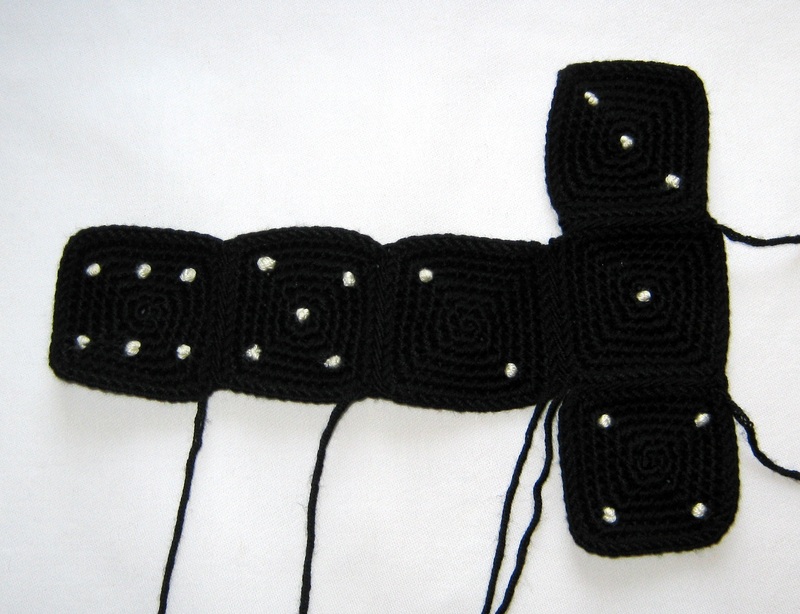 Sew one side of each square to another and create the number dots using French knot* as indicated in the below photo. 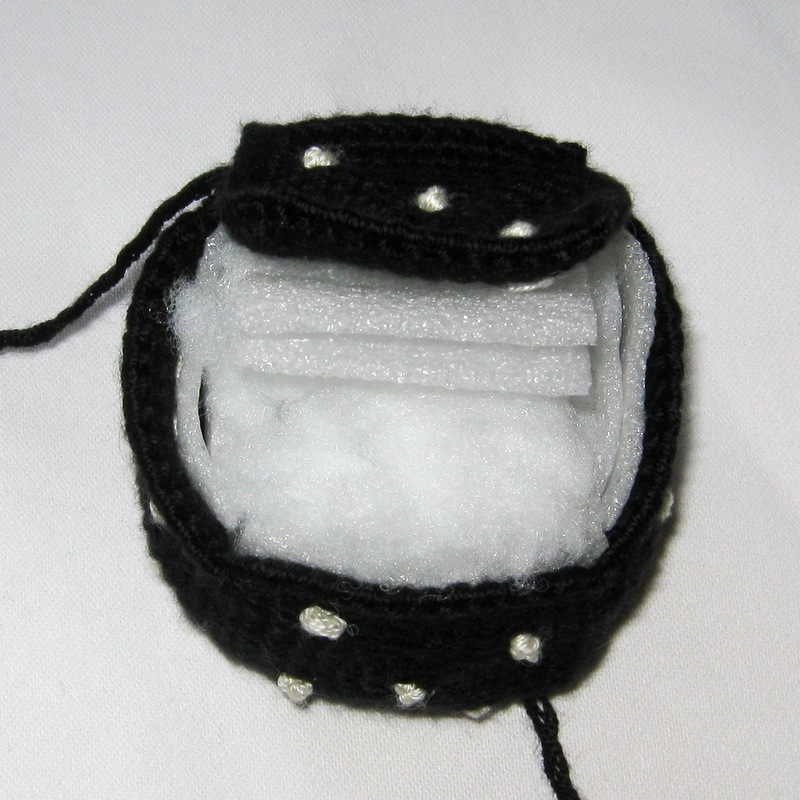 Sew all the sides together except one in order to fill the dice with soft foam around the inside of the sides (to create square shape) and the rest with polyfill. Once done, sew the last side and secure the thread. 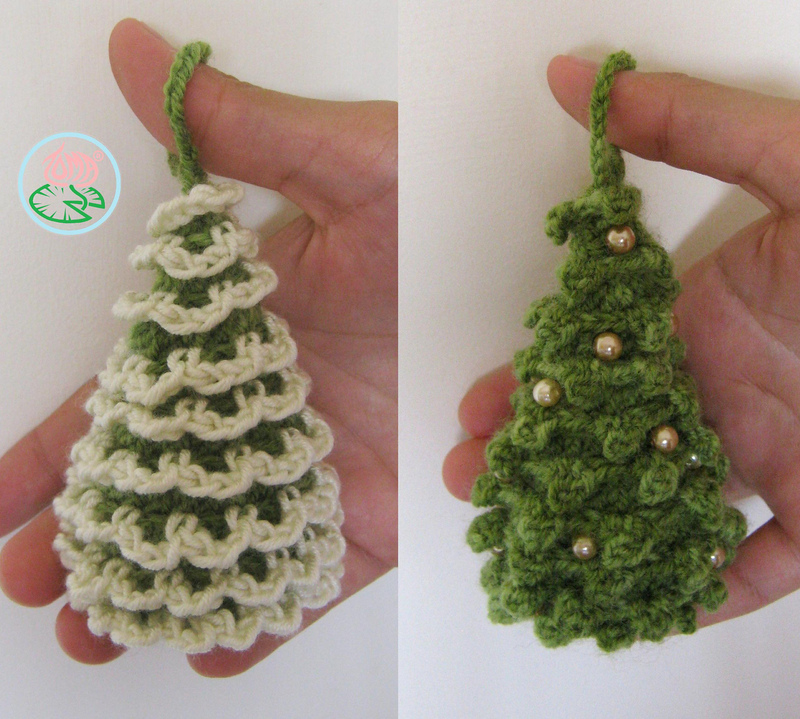 * Please check the Amigurumi adjustable ring, Fasten off when working in continuous rounds and French knot posts. That is really cool. 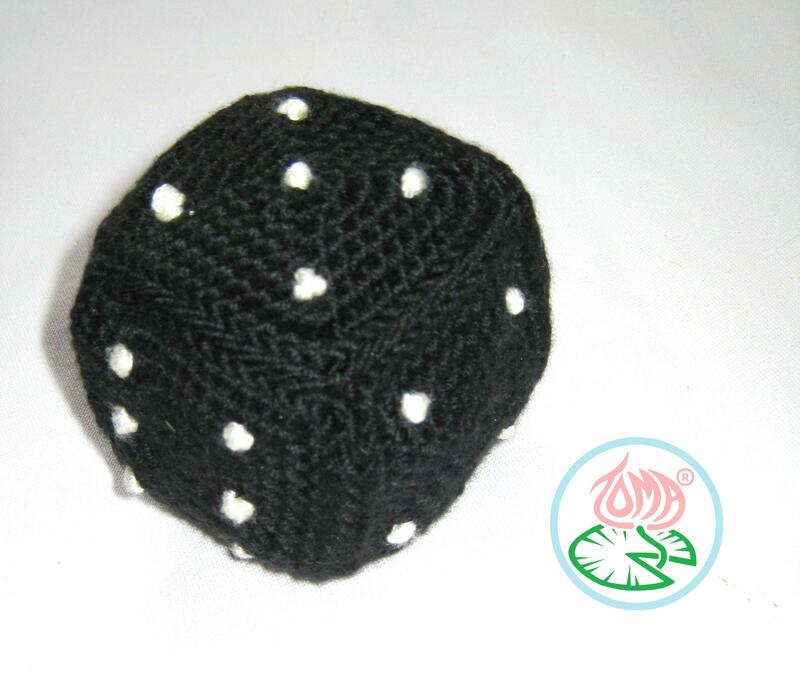 I’m going to make a pair for my sister who loves dice.